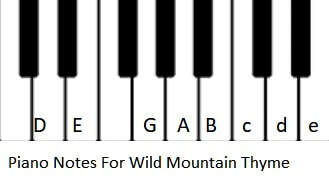 Wild Mountain Thyme Banjo Tab, also known as Will You Go Lassie Go. 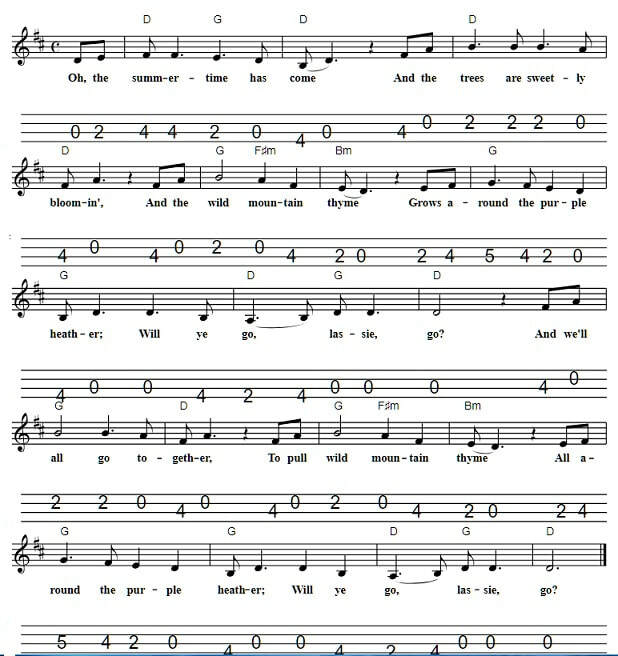 The banjo tab is in the key of G Major with another version in D. On a scale of 1 to 10, 10 being the hardest to play this song is about a 3. So not too difficult a tune to learn. This one is probably more suited to the mandolin. I have included the easy to play banjo letter notes for those just starting out. An Irish folk / love song. There's an image included showing what piano / keyboard / accordion notes to play.